While Innokin does have some more standard box mods on the market, we’ve seen them primarily focus on MTL types. We’re talking about mouth to lung (MTL), which does a better job mimicking the feeling of smoking compared to most box mods that are direct to lung (DTL). It thus comes as no surprise that the Innokin DV Pod Kit has a lot of MTL elements to it, but it also has some DTL ones. If curious what this means, and you must be, then read on below for the full review. Is that a keyless car start device or a vape mod? That’s the first thing we said when we had a look at the Innokin DV, because it sure does remind us of that. It’s just about that small, and has the type of geometry you would expect from such a car device. In fact, most people mistook it for one when we took it out of the office. This is a sleek little vape mod that really has nice edges and sharp lines with a purpose. The honeycomb design on the back adds a certain quality to it, but the design is less about that and more about how it looks on a whole. Part of the reason is that the DV pod kit basically has no buttons. It has the one button smack dab in the center, but that’s it. There is a screen that looks futuristic, but only really is there to get you through the different wattage settings and sits below the DV brand icon. The top of it is actually the pod which pulls out, but it is such a great design that it looks like one complete piece altogether rather than two. 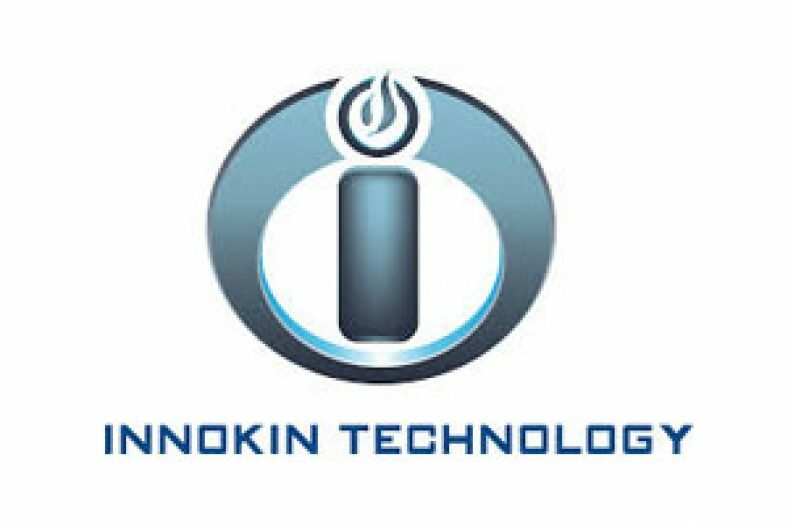 High marks for Innokin on the design here. That’s not to say that we should overlook the build either. Those little car remotes can be pretty junky, but thankfully Innokin did a great job of making a vape mod so small yet so sturdy. You get a quality feel all around, and even though it is very lightweight it doesn’t feel like cheap materials were used. It does have two flaws, however. One, is that the fire button feels a little loose, which isn’t ideal. The other is that the pod, while it has a nice snug fit into the DV, doesn’t give you a click or any indication that it is in all the way. This is something you get used to, but it’s a shame they didn’t give vapers more to work with. Either way, overall Innokin does a fabulous job with the design and build of this vape device. When looking at a vape mod so small, your expectations aren’t necessarily high. Then again, this is an Innokin and they’ve been known to get a lot out smaller devices that are beginner friendly. In particular we were interested in the Plex3D mesh coils that come in the pod. They’re rated at 0.5ohm which is a curious choice for a pod mod. It isn’t quite low enough for the type of DTL vaping that we would expect, but it’s lower than most MTL vape coils. 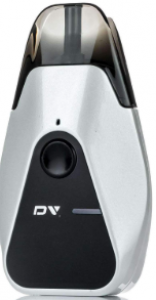 We’re also limited by wattage in that the DV pod kit has a range of only 12-15W. That’s pretty low, but a lot can still be done with it. On the lower end of that range, you won’t get much heat in your vapour, and not much vapour at all. It certainly feels like it fits the beginning MTL vaper who is just making the switch from fags. However, by the top end of the wattage spectrum you do approach levels close to DTL. By no means would we recommend this to a box mod vaper who is completely DTL, but it also performed better than we thought. Regardless of the power level chosen, you always great fantastic flavour, and for that we’ll heap praise on those Plex3D coils that were designed with that in mind. They deliver here in flavour, even if the vapour levels and throat hit can be hit and miss depending on what you’re used to. This is a pod mod, so you shouldn’t expect much in terms of modes. This is basically a variable wattage vape mod, and there are only 4 wattage choices. They start at 12, go up to 13, once more to 14, and top out at 15. Pretty simple, right? With such a small difference in wattage choices, sometimes we did wonder if there really was a difference between them. In the end, there clearly was between 12 and 15, but less so for the intermediate ones. In terms of battery life, the DV pod mod is a champ. It easily got us through a half day’s worth of vaping, but that really depends on your habits as well. Still, it’s impressive for a pod mod with such a small battery. Charging time took about an hour and a half for us, which wasn’t bad either. Pod mods exel in this category, and the Innokin DV isn’t any different in that regard. It charges easily and only has one setting that you can change. There isn’t much to confuse you really. You can also either take a drag on the mod, or press the fire button. Either will activate the device, which is just another small thing to make things easier based on what you are used to. There’s a battery indicator light that tells you if it’s full (green), half (yellow), or low (red) on its charge which is very helpful. Swapping out the pods is simple, but we wish it made a click when it was all the way in. Refilling the pods is also easy, but be careful with the plug which tends to spring back into place – so have a firm grip on it when dripping in your e-liquid. At £29.99, this is a real value for a quality pod mod. The fact that it comes with an extra pod and that those Plex3D mesh coils are so good is the cherry on top. The Innokin DV Pod Kit is a really well made product that looks great and performs well too. It is incredibly portable, easy to fill, and provides absolutely wonderful flavour in any of its wattage modes. It comes in a rather low wattage range, but does a lot with what it has and can produce a really good vape. There is an element of confusion with this kit, as it sits somewhere in between a DTL and MTL product. If you’re brand new to vapour, you may not get enough of a throat hit with you regular e-liquid and will need to up your nicotine count. If you’re a DTL box mod user, this just won’t have the power you’re used to. However, for users who are past the beginner stage and looking to transition, this is the ideal device. It lets you experiment with DTL, but you can still have a really good MTL experience to fall back on. For more veteran users, it is a fun and sleek looking option to have for vaping on the go, especially to be stealthy. Overall this is a really good pod mod kit, just make sure it fits the needs of you in particular. At this price point, it’s certainly worth trying it out to find out.